Brovary is a city in Ukraine, the administrative center of the Brovary district of the Kyiv region, the largest satellite city of Kyiv, located about 12 km east of it. There are several versions about the origin of the name of this city. The most common of them is that it is derived from the word “brewers”. The population of Brovary is about 105,000 (2018), the area - 34 sq. km. The phone code - +380 4594, the postal codes - 07400-07409. Local time in Brovary city is April 21, 9:13 pm (+2 UTC). The first settlements appeared on this territory about 7,000 years ago. About 2,000 years ago, the first Slavs began to settle these lands. The exact date of the foundation of Brovary is not known. Probably this settlement already existed in the 12th century. In the autumn of 1240, after the Mongol invasion and the destruction of Kyiv, the Brovary lands become the dependence of the Golden Horde for more than 100 years. All settlements in the territory of the present city were destroyed. In December 1362, after the Battle of Blue Waters, when the Lithuanian army led by Algirdas defeated the Golden Horde army, the Brovary lands as part of the Kyiv principality came under control of the Grand Duchy of Lithuania. In 1569, as a result of the Union of Lublin, which united the Kingdom of Poland and the Grand Duchy of Lithuania into the Polish-Lithuanian Commonwealth, the Polish influence began to spread in Brovary. For the first time Brovary was mentioned in written sources in 1628-1630. At that time, it was a settlement with about 100 houses and 700 people (peasants and Cossacks). The peasants were mainly engaged in farming and hunting, and the more prosperous Cossacks were engaged in winemaking and brewing (hence the name of the place). Brovary was located in the territory belonging to the magnate Jeremi Wisniowiecki. At the beginning of the Khmelnytsky Uprising (the Cossack-Polish War) of 1648-1654, Jeremi Wisniowiecki strengthened Brovary, concentrated an armed detachment here. In June 1648, residents of Brovary rebelled, declared themselves Cossacks, destroyed the Polish detachment. In January 1649, the Brovary Cossack Hundred was established in Brovary. The Treaty of Zboriv, ? ?which was signed in August 1649, legalized the self-government of the Ukrainian Cossacks (the Hetmanate) within the Commonwealth. Brovary became a well-known center of trade. People from the Polish-Lithuanian Commonwealth, the Moscow kingdom, and various religious figures stayed in the town. In 1667, according to the Andrusovo Truce between the Moscow kingdom and the Polish-Lithuanian Commonwealth, the Hetmanate was officially divided into a right-bank and left-bank. Brovary, which were located on the left bank of the Dnieper River, came under the protectorate of the Moscow kingdom. In 1764, by order of Empress Catherine II, the institute of hetmanship was abolished, and a year later the Hetmanate was reformed in the Little Russian Governorate, so the times of the Cossacks in Brovary ended. In 1787, 487 people lived in Brovary. In 1817, a post station was built. In 1836, construction began on the road that connected Brovary with the left bank of the Dnieper. In 1859, the population of the town was 1,241 people. The abolition of serfdom in 1861 led to the rapid development of economic life. From 1868 to 1870, the Kyiv Railway Station operated in Brovary. In 1897, the population was 4,312 people. In the years of the Civil War in the territory of the former Russian Empire, Brovary and the whole region become a place of fighting. From 1917 to 1920, Brovary ten times passed under the control of various armies. June 8, 1920, Soviet power was established in the town. In 1923, the population of Brovary was 4,065 people. In 1933, the construction of the airport was started in Brovary. In 1935, this airport became the central airport of Kyiv. June 25, 1941, German bombers completely destroyed it. After the war, it was not rebuilt. Brovary was liberated on September 25, 1943. During the years of occupation, the town was almost completely destroyed - only 138 houses survived out of 2,174. The town was actively restored, especially industrial enterprises. 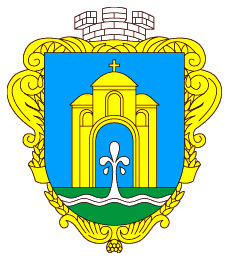 In 1956, Brovary became a city. In 1957, the refrigerator plant was opened; in 1960 - the Brovary Machine-Building Plant Torgmash and the lighting plant; in 1963 - the powder metallurgy plant (the only one in the USSR); in 1964 - the tire repair plant; in 1966 - the repair and mechanical plant. In total, in 1955-1970, more than 20 plants were built in Brovary. The population of the city increased to 17,800 people. In 1979, there were already 58,600 people. Brovary turned into an important economic and industrial center. Since April 26, 1986, Brovary firefighters, drivers, medical doctors, and rescuers participated in the liquidation of the accident at the Chernobyl nuclear power plant. About 3,500 people evacuated from the exclusion zone were resettled in Brovary. With the proclamation of independence of Ukraine and the transition to a market economy, a number of old enterprises were closed, others were reorganized and continued to operate. Since the 2000s, a new “construction boom” has begun in the city. The city annually increases its population. 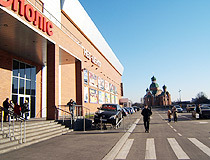 In 2006, the shopping and entertainment center “Terminal” was built in Brovary, which became the largest shopping center not only in Ukraine, but also in Eastern Europe. In 2008, the population reached 95,000 people. December 25, 2015, the city council made a decision to de-communize Brovary - dozens of streets bearing the names of communist figures were renamed. 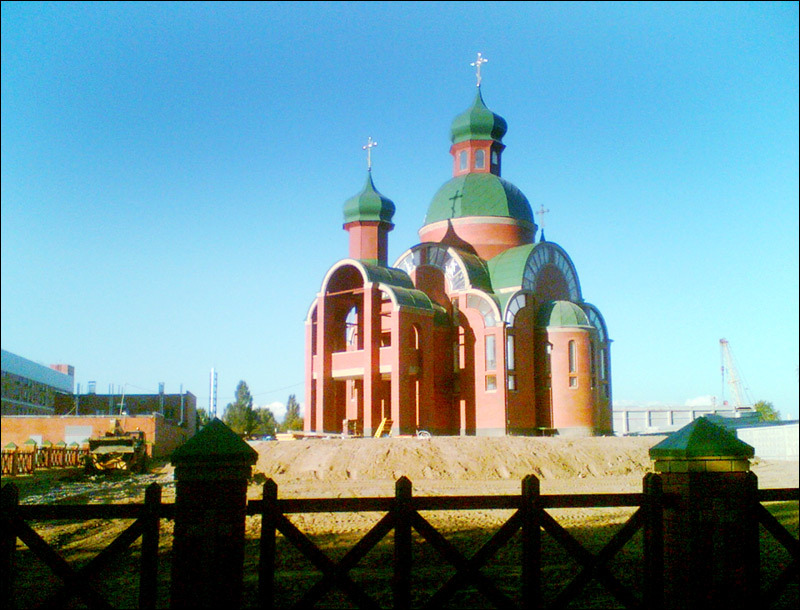 Brovary is located in the north of Ukraine. In the west this city borders on Kyiv, the capital of Ukraine. From the north and west, it is surrounded by forests, mostly coniferous, in the south and east - the steppe zone. Summers in Brovary are wet and warm, winters are mild. The average temperature in January, the coldest month, is minus 6.3 degrees Celsius, the average termperature in July, the warmest month - plus 19.5 degrees Celsius. The City Day of Brovary is celebrated on the 3rd Saturday of September. The highway of international importance M01 (Kyiv - Chernihiv - Novi Yarylovychi), part of the European roads E 95 and E 101, and the road of national importance H07 (Kyiv - Sumy - Yunakivka) pass through Brovary. Mini buses are the main public transport of the city, which provide both intracity transportation and passenger transportation to Kyiv. Brovary is an important economic center of the Kyiv region. The chemical industry, engineering, capital construction, and woodworking are the most developed industries. There is a large plant for the production of soft and carbonated beverages of the Coca-Cola company in the Brovary district. Brovary ranks first in the Kyiv region for foreign direct investment. Also three of the ten most successful Ukrainian shoe manufacturing enterprises are located in this city. That’s why Brovary is also known as the “shoe capital” of Ukraine. Several prominent Ukrainian athletes are graduates of the Brovary Olympic Reserve School, including Vladimir Klitschko (boxing), Zhanna Pintusevich and Viktor Kuznetsov (athletics), Oleg Lisogor (swimming), Yuliya Safina (handball). People come to Brovary mainly in search of entertainment and recreation since there are numerous entertainment places in the city. One of the famous places for active recreation is Sapsan-Sport (Brovarskoi Sotni Street, 29) - a shooting club where the Olympic and Paralympic national teams of Ukraine train. This club provides training services in shooting, driving military equipment and horse riding. Brovary Museum of Local Lore - a district museum of local lore located in the center of the city. 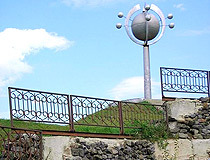 Here you can see exhibits on the history and culture of the Left Bank part of the Kyiv region. 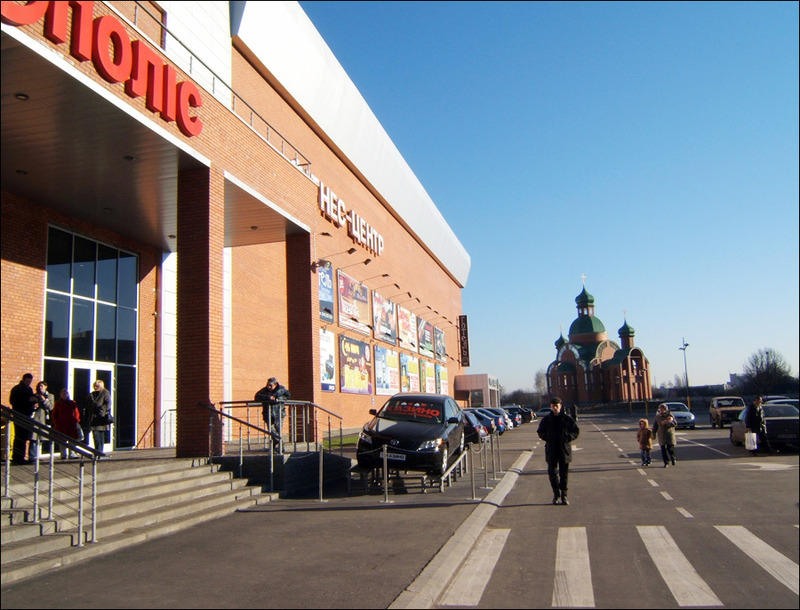 There are 6 exposition halls with about 2,000 exhibits: a natural history collection, historical and archaeological artifacts from the stone age to the end of the 19th century, an ethnographic exhibition, a hall devoted to the events of the 20th century, an exposition about the present life of Brovary, an exhibition hall. The museum also exhibits works of art created by local artists and sculptors, models of Brovary churches, fancy works of local craftsmen. Haharina Street, 6. Opening hours: 8:00-17:00 (break - 12:00-13:00). Days off: Monday, Tuesday. Shopping and Entertainment Center “Terminal” - a multifunctional shopping and entertainment complex. 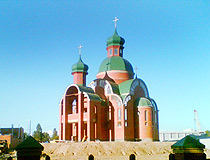 At the time of construction (2005), it was the largest in Ukraine and in Eastern Europe. This complex includes an ice arena (the first ice-sports complex in Ukraine for mass ice skating), a multi-hall movie theater, a karting center, an aquapark (the only aquapark in Ukraine with a sliding transparent roof that allows people to sunbathe in the warm season). Kyivska Street, 316. Peremohy Park - a recreation park located in the central part of the city, opposite the Brovary City Council, and bounded by Heroiv Nebesnoi Sotni and Haharina streets. The park has a multi-level lake, “the bridge of lovers”, a fountain, a number of monuments, sculptures, rides, and pavilions. 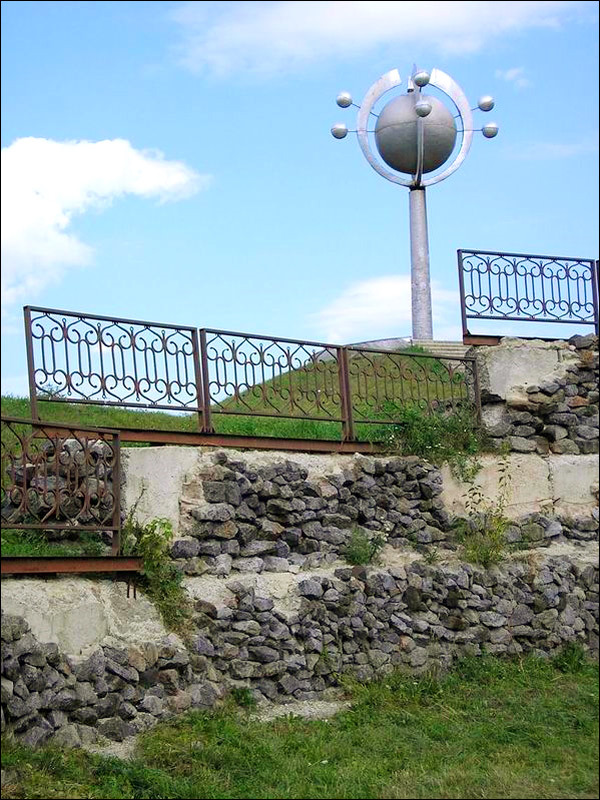 On the territory of the park there are two artificial hills from which you can enjoy panoramic views of Brovary.